POSTED Fri, 03/13/2015 - 17:00 | POSTED BY Traci C.
If you're headed to the Magic Kingdom this summer there is one less FastPass+ you'll need. Pirates of the Caribbean is closing down May 11 for a several-months-long refurbishment and won't be open again until sometime in September. POSTED Mon, 11/17/2014 - 06:00 | POSTED BY Traci C.
There is no flying allowed over the Walt Disney World Resort or the Disneyland Resort. A strict no-fly zone has been in place over both areas since 2003. The airspace over the Walt Disney World Resort and the Disneyland Resort is considered national defense airspace and violation of the no-fly zone could result in interrogation and even federal prosecution. POSTED Tue, 09/16/2014 - 05:00 | POSTED BY Traci C.
The Walt Disney World Resort was recently listed one of the Top 20 brands with the most loyal followers on Facebook. Based on the brand's Facebook likes and visits it was ranked number 12 on the list. The top 20 list was compiled by LoudDoor, a research and targeting platform that helps brands reach their ideal customers on Facebook. Walt Disney World has reached a tentative labor agreement with its largest union group. The agreement raises the minimum hourly rate for full-time employees to $10 by 2016. The hourly rate will increase to $9.50 next year. The contract covers the 21,000 full-time workers represented by the Services Trade Council, a coalition of six unions. POSTED Fri, 04/25/2014 - 05:00 | POSTED BY Traci C.
This increase would take the minimum wage rate for hourly Walt Disney World Resort employees to $10 an hour. POSTED Thu, 04/24/2014 - 05:00 | POSTED BY Traci C.
Golden Oak, the exclusive and gated residential community within the Walt Disney World Resort, is expanding. The residential area debuted in 2010 and currently includes 100 homes in four neighborhoods. When the area is completed it will be comprised of eight neighborhoods with nearly 400 homes total. To date, only 40 of the 100 current home sites have been purchased. The homes in Golden Oak range in price from $1.8 to $6 million and all are custom built. The development also features parks, gardens, and natural preserves. 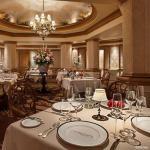 POSTED Mon, 04/21/2014 - 05:00 | POSTED BY Traci C.
When the Four Seasons Resort Orlando at Walt Disney World Resort opens later this summer guests will experience a unique and personal level of luxury. This includes the ability to request their favorite beverages be stocked in the room's mini-fridges, a free kids club, and luxury car rental for trips to the Disney theme parks.